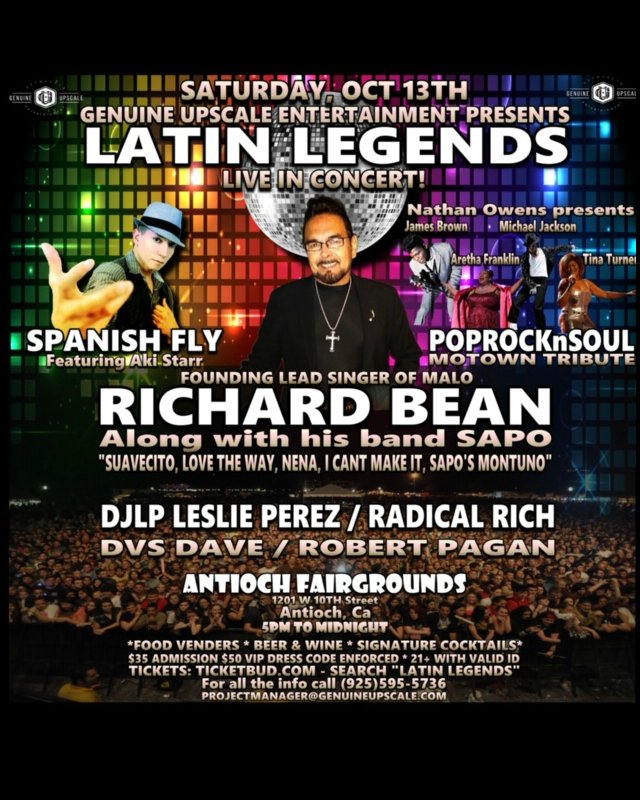 Latin Legends: Saturday October 13, 2018, 5pm-Midnight, Genuine Upscale Entertainment will have an amazing night of music and dancing. 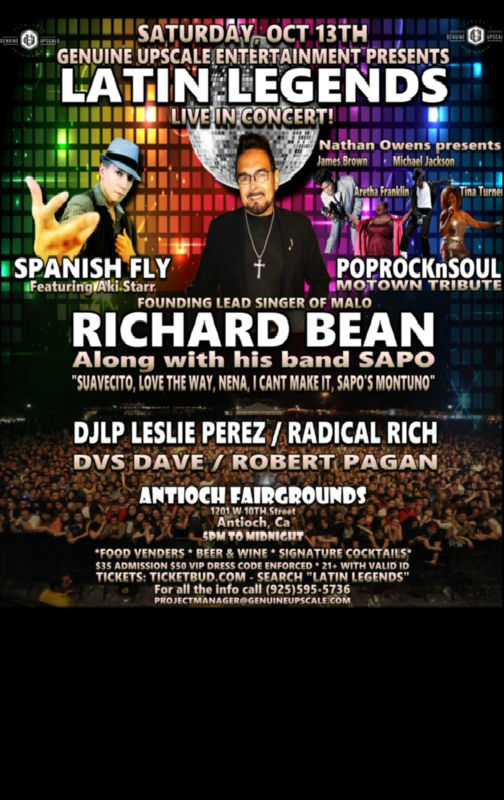 Latin Legends Concert featuring the amazing and talented Richard “Sauvecito” Bean with SAPO, and Spanish Fly featuring Aki Starr. and special guest Leslie Djlp Perez. Also, featuring a MOWTOWN tribute from Nathan Owen´s Pop, Rock, and Soul. Live Latin Jazz outside with a Freestyle Night Club and live performances inside. We will have a variety of Food Vendor options available for purchase. Wine, Beer, and a Signature Cocktail will also be available for purchase. If you have questions about an event, contact us by email: events@genuineupscale.com.